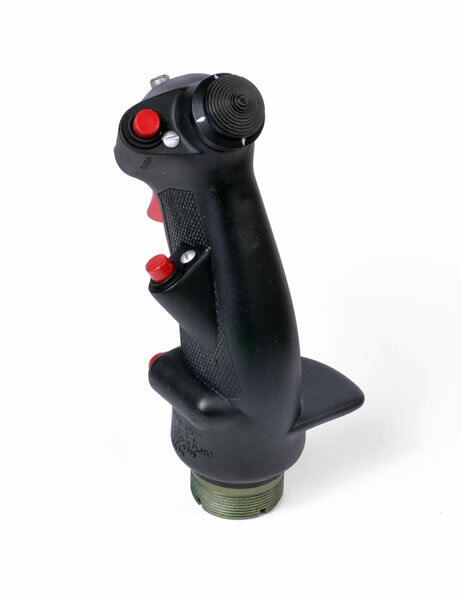 Back in May, I reviewed the resin ADV Models 1/1 scale F-104 F-104 Starfighter Control Stick Grip. 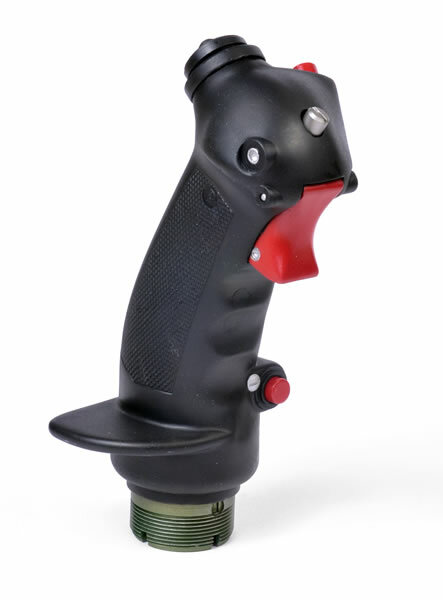 The stick grip is made up of one major part, (stick grip) and six minor parts containing three micro-switch buttons, two screws and one nut. These smaller parts will have to be carefully removed from the moulding block and glued to the appropriate area of the control column. The stick grip requires some casting blocks to be removed and these areas will need some minor cleanup work prior to painting. The moulding and casting process has captured the knurled grip area, screw heads and micro-switch stems and fastening devices perfectly. The threaded section that fastens the base of the stick grip to the control column is so crisply moulded it looks like you could just screw the knurled nut at the top of a real control column straight onto the resin stick grip. The gun trigger is nicely undercut through the moulding process that it actually looks like a separate trigger waiting to be squeezed. The most impressive item though is the top hat switch for actuating the aileron and elevator trim motors. 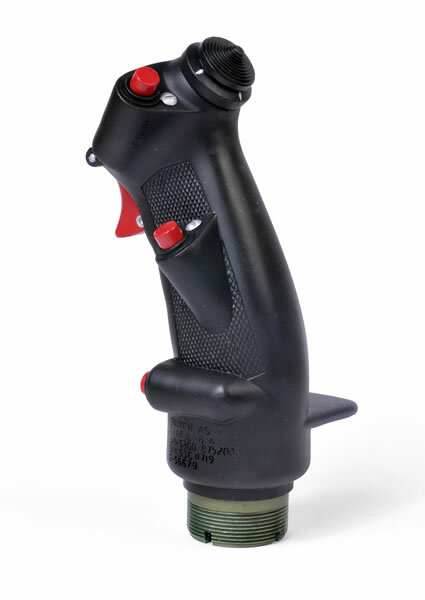 This item is prominent on the top of the stick grip and is actuated by the pilots thumb to trim the aircraft during flight. The switch is also nicely undercut during the moulding process so that it looks as though it is a separate and operatable switch. Building the resin ADV was quite simple, with the only exception being that the stick grip required some casting blocks to be removed and the area required some minor cleanup work prior to painting. The stick was painted in a semi-gloss black mixed with dark brown to capture the moulded and slightly used look. 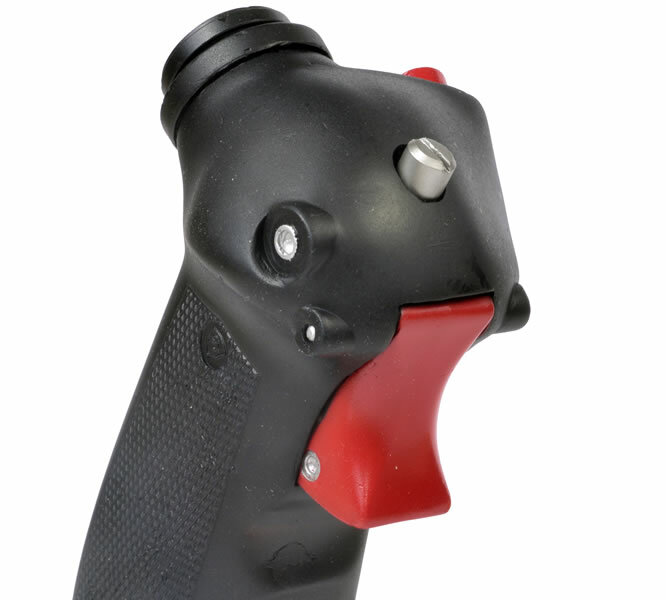 The gun trigger was masked and painted gloss red as were all of the micro-switch buttons prior to being installed on the micro-switch stems. The top hat or trim stick button was painted in gloss black with the direction markings picked out in white. I did hollow out the base of the stick inside the threaded connector to ad some realism. 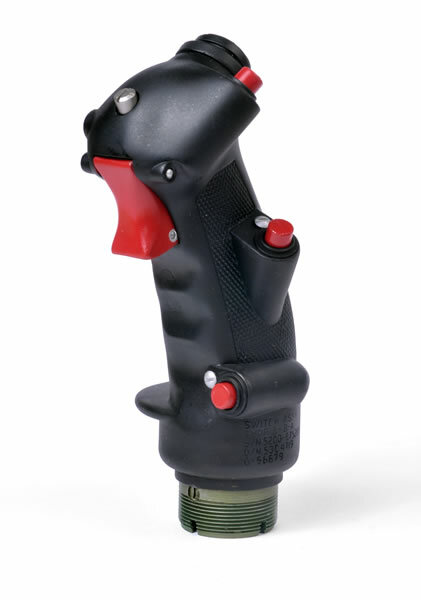 The stick grip fits to the control column via a threaded collar which screws onto the threaded lower section of the stick grip. This also pressure mates the electrical pin connectors located inside the base of the stick grip into the corresponding pin sockets on the top of the control column. 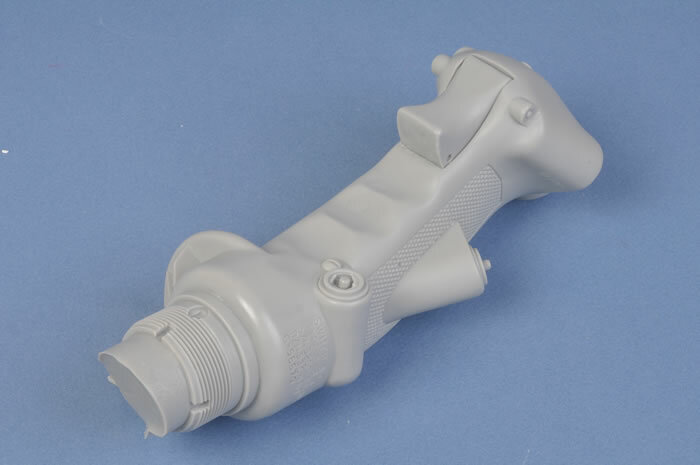 This electrical interface allows the trim controls, trigger switch and radio controls located on the stick grip to be connected to the aircraft systems. A locking screw is usually inserted through the threaded collar to prevent the collar undoing accidentally. In summary, this was a very simple build but looks excellent among my growing collection of 1/1 scale artifacts.